C.A. Taciak & Sons is a small family owned and operated contracting company. We are based out of Towson, and service both Baltimore City and Baltimore County. Our specialty is repairing, replacing, and installing underground plumbing utilities such as sewers, septic systems, water lines, and rain leaders. We are expert drain cleaners, pipe inspectors, and excavators. C.A. Taciak & Sons also offers stormwater management solutions and sinkhole remediation. C.A. 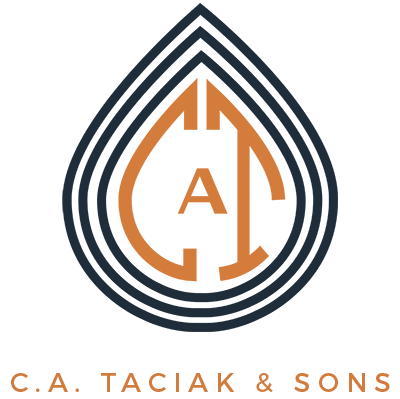 Taciak & Sons is MHIC licensed, operates under a master plumbers license, and is completely insured. Our company runs on outstanding workmanship and superior customer service. We pride ourselves on our extreme level of knowledge and experience. Frank Taciak’s father Charles founded C.A. Taciak & Sons in 1940. The company began with an emphasis on general construction, but by the 1960s Charles had shifted the company focus to excavation and utility installation. During the late 1970’s, Frank began working with C.A. Taciak & Sons, gaining valuable experience and learning the trade. During the 1980’s Frank took a break from the company to work as a machinist for 8 years at a large printing plant in Brooklyn, NY. When his son Sam was born, Frank moved back to Baltimore and took over the family business. C.A. Taciak & Sons has steadily grown each year since then. The most important reason for this growth has been an ongoing education program that has helped our company best serve our customers. Today, C.A. Taciak & Sons continues to serve the greater Baltimore area, solving its residents’ trickiest plumbing problems. Our goal is to restore the craftsmanship once seen in the trades. We make this evident in each job we perform. Frank Taciak creates high quality underground plumbing in the Baltimore Metro area. Over the last 30+ years, Frank has installed 1,000’s of sewers, water lines, and septic systems. This unparalleled level of trade education and experience guides every C.A. Taciak & Sons project. As a second generation plumbing and excavating contractor, Frank has seen it all. His extensive knowledge of Baltimore area plumbing makes no problem impossible. Because of this attitude, C.A. Taciak & Sons operates as a solution-oriented company. In his spare time, Frank works as a volunteer construction worker, and customer service mentor. As a mentor, he helps other small trade businesses improve their customer service and quality. Frank’s long history of satisfied customers attest to his expertise. Sam Taciak is a third generation plumber and excavator. Following his Father’s and Grandfather’s example, he continues their legacy of quality and service. 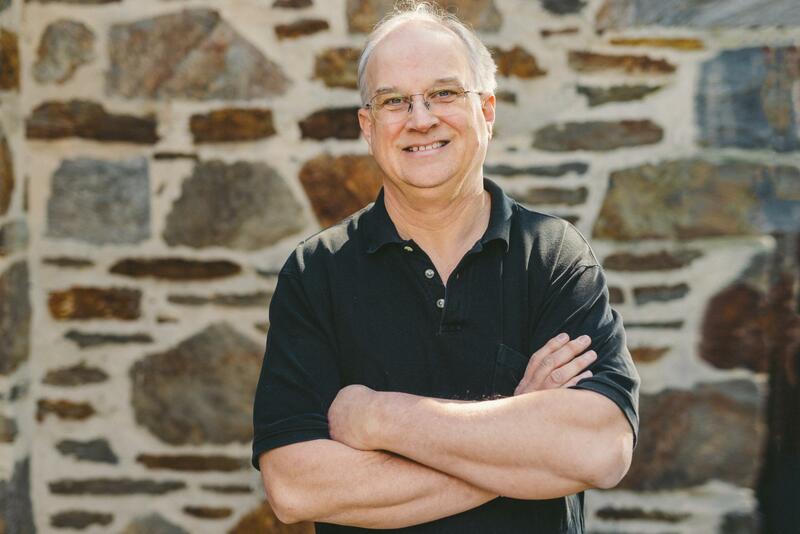 As a Baltimore native, Sam has years of experience handling all types of local plumbing problems. 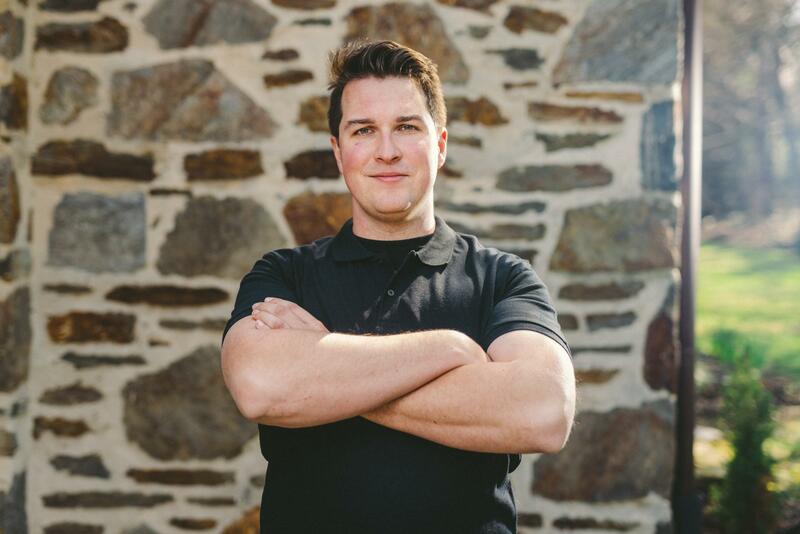 After graduating with honors from Goucher College in 2011, Sam resumed his plumbing career. At this point he spent several years as a commercial plumbing apprentice before rejoining C.A. Taciak & Sons. This combined practical and academic education well prepare Sam to handle any plumbing problem. When not working, Sam likes to spend time with his wife Lexi exploring Baltimore’s best restaurants. Sam’s passions include volunteer construction work and reading. Above all else, Sam enjoys helping others untangle the complicated problems of residential plumbing.